I have to warn you now that the product I’m going to show you today is slightly addictive. So tremendous is its chocolatey goodness that when you’re using it, people living four streets away will feel compelled to crack open a bar of Fruit ‘n Nut. People, we’ve reached a tremendous day in our history, when can finally smear chocolate all over our faces and claim we’re only doing it for the skincare benefits. 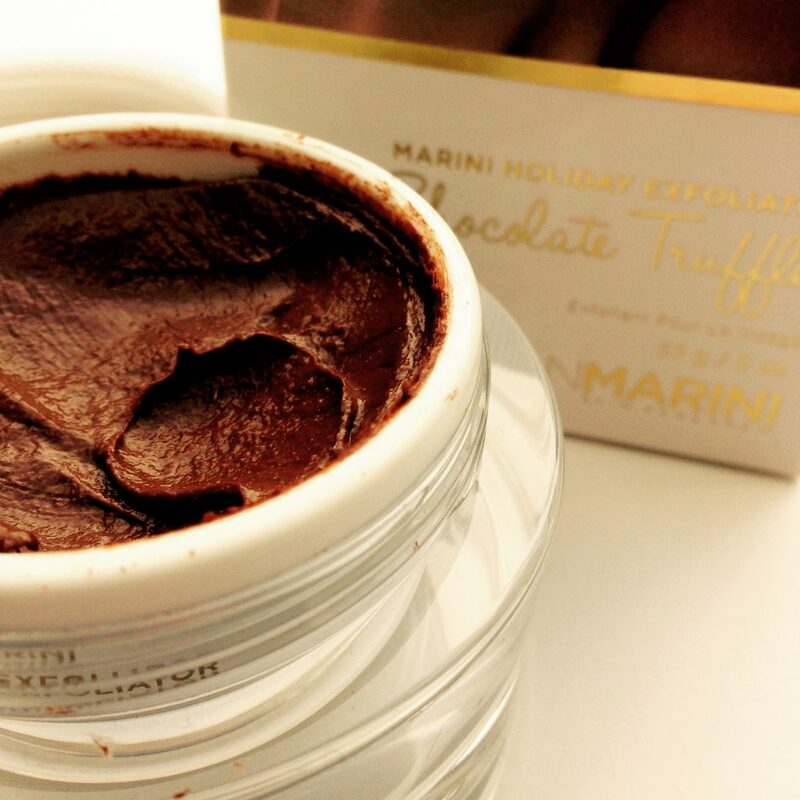 Let me introduce you to the Jan Marini Holiday Exfoliator in Chocolate Truffle. Jan Marini Skin Research is a somewhat sober US skincare range. But once in a while they go hog wild with a range of fun, limited edition scented exfoliators. Last winter we had the deliciously festive Sugar Plum Exfoliator which was a delight to use. And this year they’ve really outdone themselves with the decadent Chocolate Truffle Exfoliator. My word, but this smells good. Probably due to the fact that real cocoa features quite high up in the ingredients list, it just smells like the most amazing chocolatey thing. Scent aside, how does it fare as a skincare product? Actually, pretty great. But then you would expect that from Jan Marini who have a deserved reputation for high quality skincare. Their stuff isn’t cheap, but it is effective and reliable and so ultimately worth it. As an exfoliator it performs terrifically well as it smoothes out the skin and reveals a natural glow. This is because it combines physical exfoliation (from tiny particles, so it’s scrubby but not harsh) with chemical exfoliation via fruit acids. As well as cocoa, other ingredients include glycolic acid, proteolytic enzymes (papain from papaya, and bromelain from pineapple), dimethicone filled particles and antioxidants. The packaging warns that you may feel a slight stinging or tingling, but I didn’t experience any of that at all. 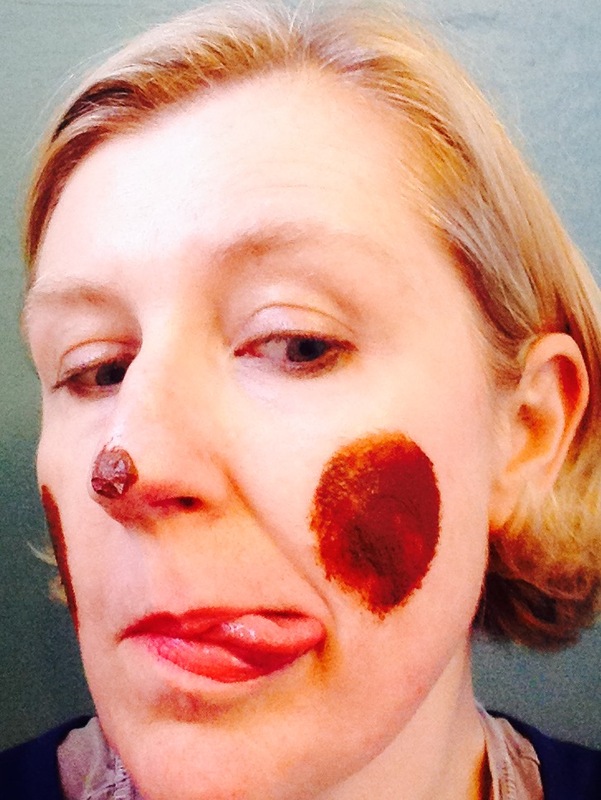 I was too busy marvelling at the fact that I had turned into a human chocolate truffle. What I particularly like about this product is that once it’s done its work, it rinses off easily. Sometimes with very fine grained exfoliators you think you’ve got it all off, but then when you put on moisturiser afterwards, there are still a few little bits there making your skin feel gritty. That doesn’t happen with this product. It rinses clean away leaving buffed and glowing skin. With its chocolate and gold packaging, this would be a great gift for the skincare enthusiast. It combines effectiveness with fun, and we all need more of both of those in our lives. 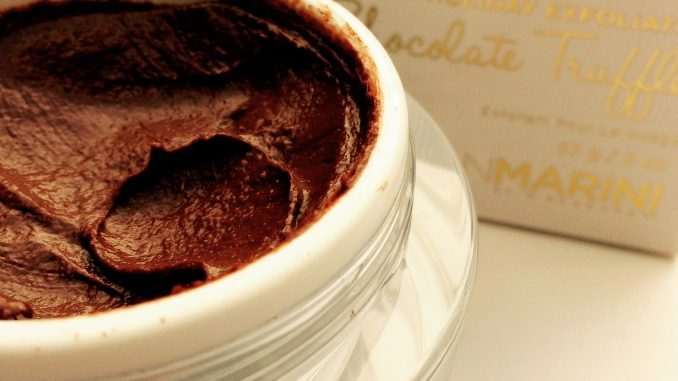 Jan Marini Holiday Exfoliator in Chocolate Truffle is available here from Dermacare Direct. £58 for 57g. UK delivery is free, and international delivery is available.